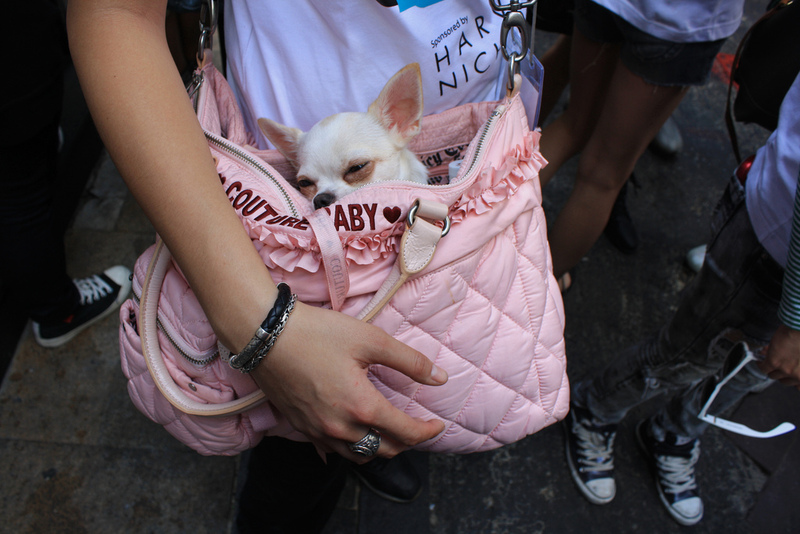 Beautyqueenuk | A UK Beauty and Lifestyle Blog: Thinking of Getting a Purse Dog? Thinking of Getting a Purse Dog? Despite being cat people, we have always wanted to have a dog. I’ve been told that dogs are great companions and wonderful pets to have, but my only worry is finding the right dog breed for my lifestyle. Anyone who follows my blog knows how much I love handbags, and after seeing photos of celebrities carrying around their miniature pups in their bags, I decided to explore the idea of a purse-size dog more. I mean really it exists. There are actually quite a few dog breeds that are categorised as ‘small’ or ‘purse-sized’, but my personal favourite so far has to be the Chihuahua. My sister-in-law as one and not only are these dogs adorably small, they are incredibly loving. Besides, I would love a dog that wouldn’t require a huge financial investment, especially considering that an article by Voucherbox indicated that owning a dog could cost you over £15,000 over its lifetime! A Chihuahua wouldn’t shed as much in my purse and I wouldn’t have to spend outrageously on grooming necessities. I’d like to look as glamorous as actress Jamie Lee Curtis did while walking around with her Chihuahuas in the film Beverly Hills Chihuahua. My only worry concerning adopting a Chihuahua is that it’s a breed with common health problems. That’s why I have also taken quite a liking to the Yorkshire Terrier, or Yorkie for short. What I love most about this pup is that it’s considered to be the first dress up dog, so not only could I carry it around in my bag, but I could also tie cute bows on it, to match my outfit. Since Audrey Hepburn used to own a Yorkie, I thought it would be nice to own a dog similar to the kind one of my favourite actresses used to have. However, despite how important picking a dog breed is, I also decided to do a bit of research on the type of handbag that is said to be best suited for a 'purse dog'. I’d prefer a stylish pet purse carrier, but it’s also important to pick a carrier that is roomy enough for the dog, but not too roomy that it could jump out at any moment. A highlight recommendation for carriers that I have found is the Sherpa Original Deluxe Pet Carrier, currently valued at £66.72. Sherpa is a well-renowned dog carrier brand, and its carriers are well ventilated and come in different styles to suit everyone’s needs. The Sherpa Original Deluxe can be used for any occasion, and is roomy and comfortable enough for a pet to feel good in. For a more stylish alternative, and a cheaper option, there is also the MG Collection Dog Carrier Purse, currently valued at £24.99. This carrier resembles a handbag more than a carrier, and includes two large side pockets that I could use to store some of my personal items. As a soft-sided carrier, it is also lightweight and easy to assemble. At the same time, if I were looking for an option that best fit my style, a tote would be a more suitable option. Totes look like purses, and are generally more appropriate to carry around when going to locations where a carrier might seem out of place. Argo by Teafco Pet Carrier is a popular designer tote, valued at £140.78, and one I have taken a liking to because of the cute pink colour it comes in. It is also well-ventilated and includes convenient extra pockets. Now all that aside, I obviously would not buy a dog just for a bag. But it is surprising what you can find online and that there are such items available. The only carrier I have for a pet is my cat carrier, which whilst a complete pain and awkward to carry, serves its purpose and that is where this article stems from. Would you buy a dog for a bag? Dogs really don't need to be carried around. Being on the ground helps them socialise and burn energy. Please tell me this post is a joke? 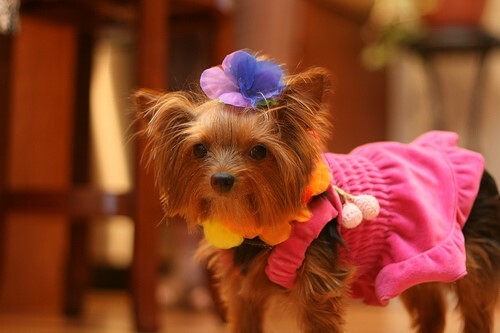 You seriously want a dog that you can dress up and carry around in a handbag? You are aware that a dog is a living creature and not an accessory, and you can buy these things called dolls if you are so desperate to dress something up? I am having the same thoughts. Dogs are animals, not dolls and they shouldn't be treated as such. It is cruel and degrading. Not to mention that this 'trend' is encouraging poor breeding standards meaning dogs have endless health problems because they are being churned out like factory farmed eggs. BQUK, the guest poster only seems to want a dog as a fashion accessory, as this post just goes on about matching it to outfits and the cute bags you can get for it. There is no mention of wanting to take it to training classes, or to go for lovely long walks or to play and bond with it; to have it as an addition to the family. Dogs are expensive to maintain and that is the only reason I can not get one for my kids. I have to agree with some comments above - dogs shouldn't be an accessory!